Click on the "Add" button next to the Expenses title in a project. This is located on every client's Tasks & Expenses page. 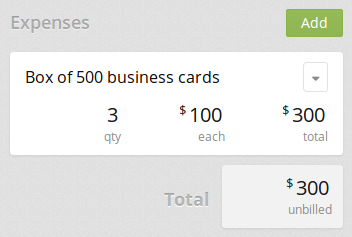 Fill in the name, quantity and unit price of the expense. Paydirt will calculate the total price for you.